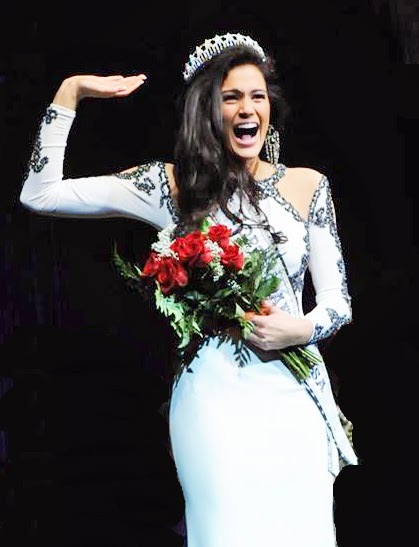 Critical Beauty: CB Loves Audra Mari, Miss North Dakota USA 2014! 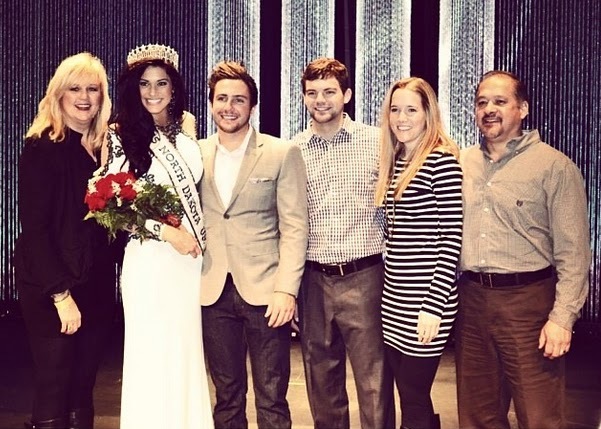 CB Loves Audra Mari, Miss North Dakota USA 2014! Well, it all began in 2010 when I accompanied my cousin to attend a pageant to cheer on her friend. Little did I know that my life would change forever! A pageant coach approached me and insisted that I compete for the title of Miss North Dakota Teen USA. 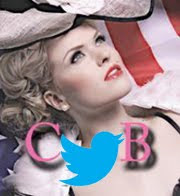 Five months later, I was crowned and eventually went on to be named the first runner-up to Miss Teen USA. Needless to say it was the BEST decision I have ever made in my life! How has your pageant experience changed you as a person so far? My first pageant I ever competed in was when I won Miss North Dakota Teen USA in 2011. I later went on to compete at Miss Teen USA in the Bahamas. I got First Runner-Up at Miss Teen USA and my life has been forever changed since that night. The President of the Atlantis in the Bahamas actually invited me back to the resort after Miss Teen USA to be their special guest for the week. I’ve gotten to model for Sherri Hill, work for HGTV, travel the country modeling, and have gotten to make some pretty cool connections. I then competed for Miss North Dakota USA this past November and won. Although pageantry has blessed me with so many incredible opportunities, as a person, I’m still the same Audra! If you could change anything about yourself, what would it be and why? If I could change one thing about myself it would probably be my impatience. However, I do know that each and every one of us is on Earth for a reason and we should be proud that we are all uniquely different. Many people perceive North Dakota as a homogenous, uninteresting and boring state. Convince them that they are wrong. Homogenous, uninteresting, and boring state! How dare they. I’m just kidding! I would just like to say that I’ve grown up in North Dakota my entire life and wouldn’t have that any other way. But don’t take my word for it. North Dakota has the lowest unemployment rate in the country and is the second largest oil-producing state, after Texas! I don’t think being “ladylike” is just about having good manners and remembering to say your “P’s and Q’s.” Being ladylike is about remembering the importance of actually being a woman. Women are strong, independent, and powerful beings who deserve to be respected. It’s important that women portray themselves in a respectful way to ensure that they are granted respect back. What do you think about groups that are trying to remove prayer from the public arena? I don’t agree with groups who are trying to remove prayer from the public arena. Having our religious freedom is important to many individuals in the United States. The ability to worship any God who you believe in is your define right. It’s important to never forget that. 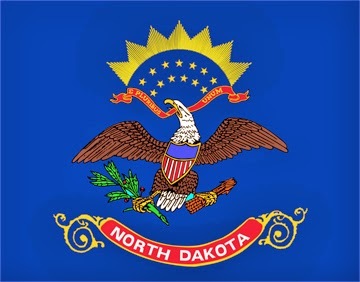 North Dakota has been competing in Miss USA since the pageant began in 1952, but the state has never won and has only placed 3 times (1966, 1983, 1996). Why do you think that the state's performance has been dismal? I don’t think there’s necessarily a reason that can be pinpointed as to why only three representatives of North Dakota have placed at Miss USA. I’m a firm believer in that everything happens for a reason. Just because these young ladies did not place at Miss USA does not mean that they did not gain memories, friendships, and connections that they will cherish for an entire lifetime! In the end there is only one winner. Be yourself and be happy; the rest will fall into place. Who handles loneliness better? Men or women? I don’t think it’s fair to say that men or women handle loneliness better. It totally depends on the individual and the situation that they are in. Do you think that the media is generally biased toward the more liberal viewpoints and that it is hard for conservative views to have fair coverage by the media? I don’t think that it’s harder for conservative views to have their fair coverage by the media, however, I do believe that liberal individuals typically tend to voice their opinions more freely and all across all different types of media. Both parties have a fair shot when it comes to voicing their opinions. It just comes down to if they chose to do so or not. What is your opinion on cosmetic surgery? 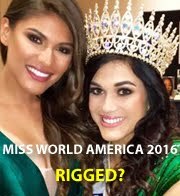 And do you think that pageant contestants who have had cosmetic surgery have an advantage over those who have not had one? 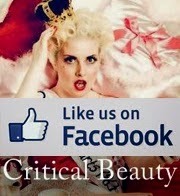 I don’t think that pageant contestants who have had cosmetic surgery have an advantage over those who have not had one. Nobody can win a pageant solely based on her physical appearance. It’s so much more than that! I personally wouldn’t get cosmetic surgery unless I was in some sort of accident where my face and or body were altered in any way. I think as a role model to young women it’s important to be invested in other things besides altering our physical appearance. Being happy in your own skin, that’s the most beautiful thing. Have you been pleased with President Obama's performance since he took office in 2008? I have been pleased with President Obama’s performance since he took office in 2008. Obviously, just like every other person in the entire world, he has made mistakes and could have done things differently. But, I will also say that no matter who becomes President of the United States or who is currently the President of the United States, it’s incredibly important to respect them. Their job, to me, is the hardest one out there and the stress, critiquing, and hatred from other individuals have got to be draining. I applaud any individual who is up for the task! What is the one lesson you learned as a child that still affects your life today? The most valuable lesson my parents taught me growing up was to always be thankful. I have found that throughout my life true blessings come from people who have felt that I deserved and who honestly felt that I was thankful for my opportunities. It’s important to never ever forget how cool it is to have a state title, how much little girls all across the country look up to us, and how much other young ladies would kill to be in our shoes. It’s about loving every day and being thankful for it. If there were no rules for one day and I could be as outrageous as I wanted to be, I would instantly book a trip to Hawaii and leave that day. I love to travel and haven’t gone to Hawaii yet, but would LOVE to go! If you won the state lottery, how would you spend your winnings? Winning the state lottery would be incredible! I mean who wouldn’t want to win FREE MONEY! I would first give half of my winnings to STOMP out Bullying which is an incredible organization that is the leading national bullying and cyber bullying prevention organization for kids and teens! The rest of my money would be spent on a trip to go to the Philippines where my grandpa was born and raised! I am a small town girl from Fargo who never dreamed, while growing up, that I would one day appear on national television competing for the title of Miss USA. I am humbled, honored, and aware of the tremendous responsibility of serving as a titleholder for the Miss Universe Organization. I will continue to work to the best of my ability to make the state of North Dakota and the Miss USA/Miss Universe Organization proud as I aim to "give back" to my community for all that these titles have bestowed upon me, since they have truly changed my life. 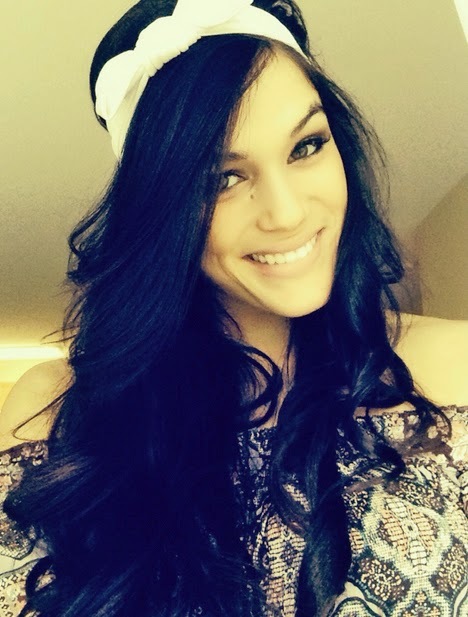 If selected as the next Miss USA, I will remain the same small town girl, unchanged, that will stand as an example to the millions of young people facing bullying, showing that anything is possible, even rising above adversity, especially when pageants are involved!